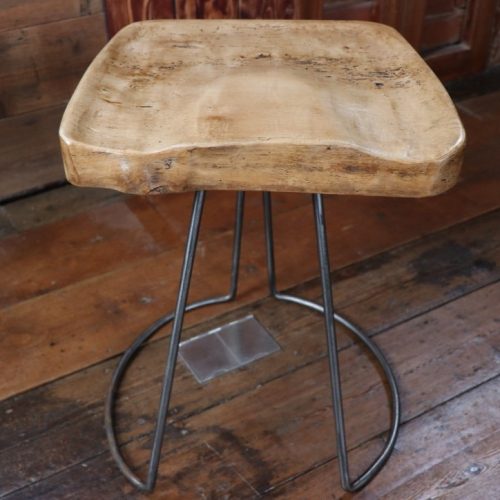 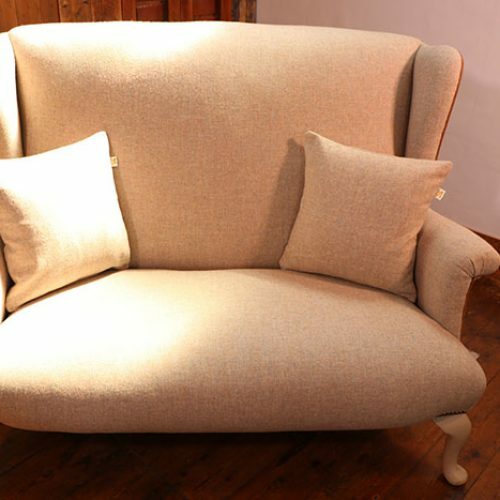 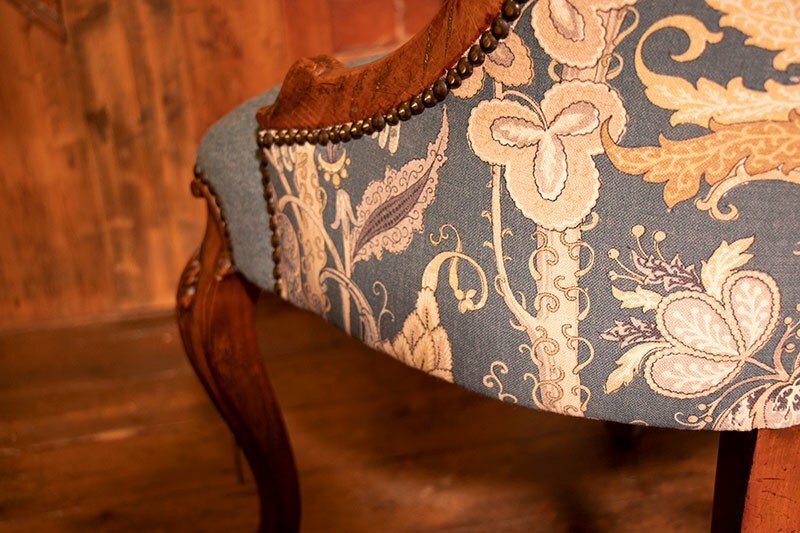 Semper Hopkins Upholstery & Interiors love making beautiful furniture and this piece is no exception. 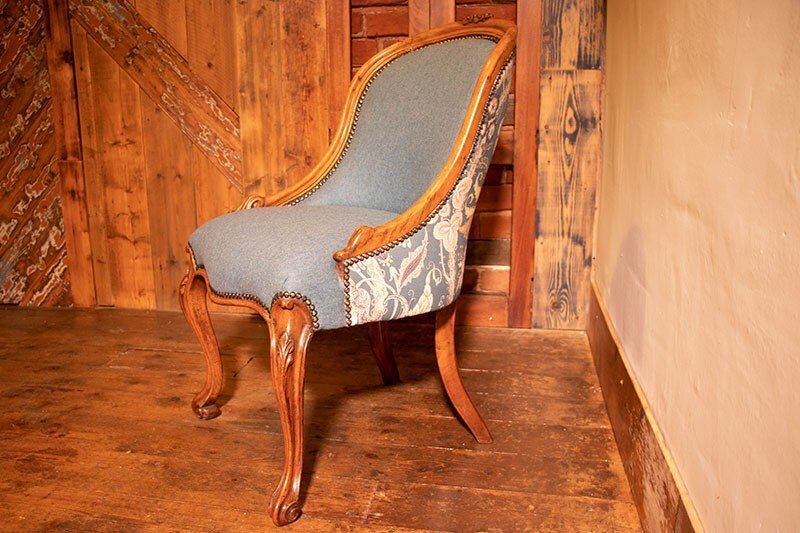 The ornate original French frame has had a complete makeover. 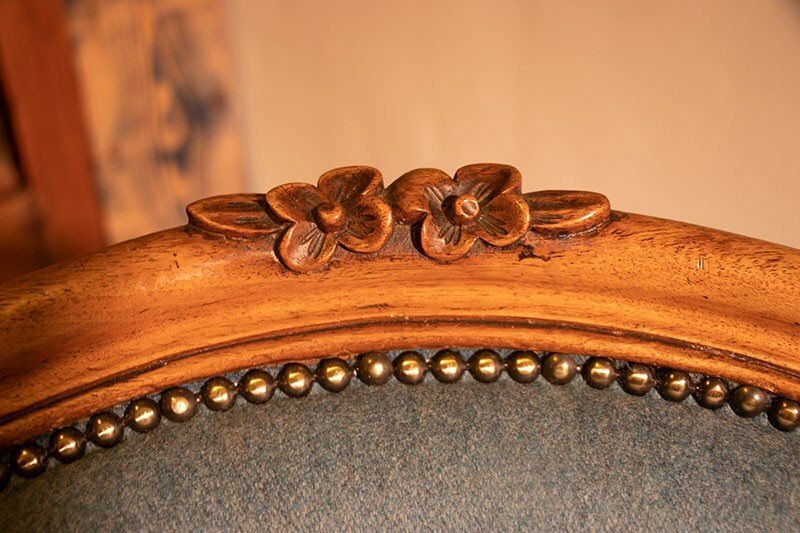 There was slight damage to the back of the frame which has been repaired. 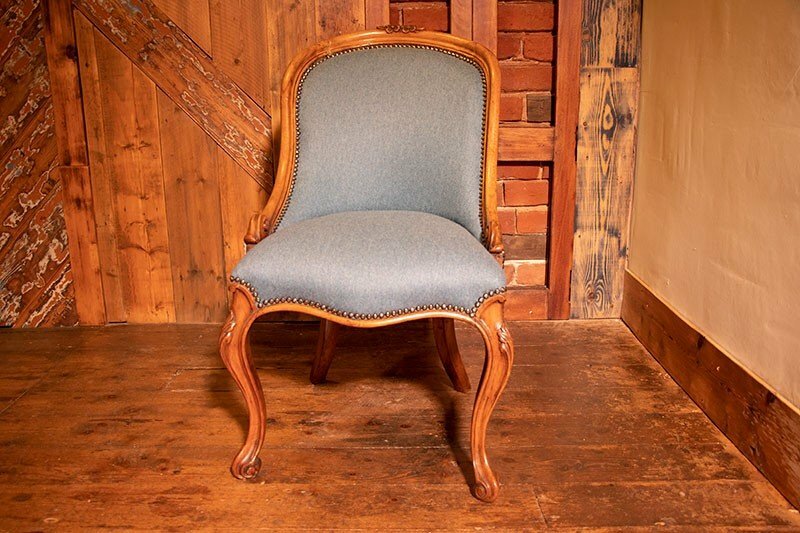 It has then cleaned, waxed and polished to enhance the natural wood. 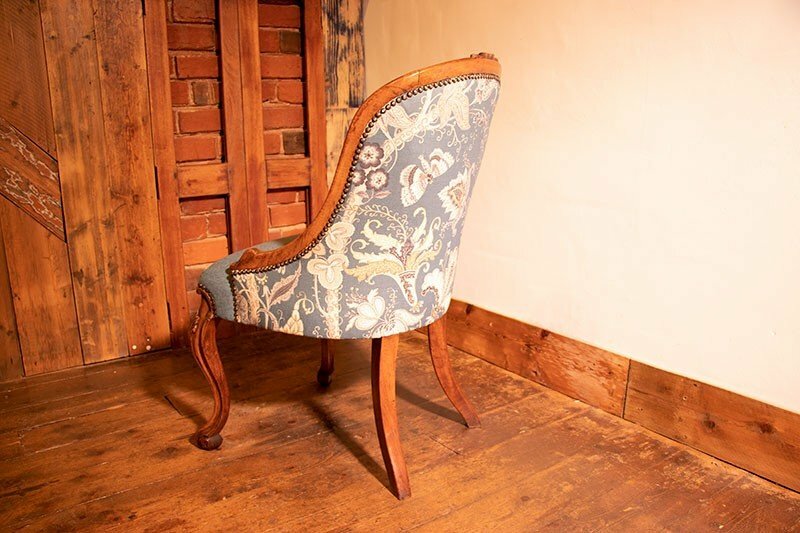 The chair has been completed stripped back to the frame and rebuilt with new materials. 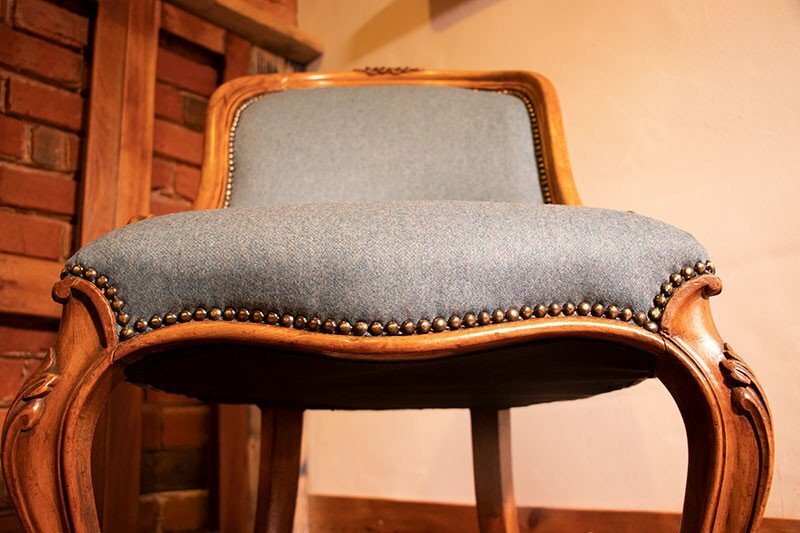 Finally, the seat and inside chair back have been upholstered in Linwood Lana Teal Wool. 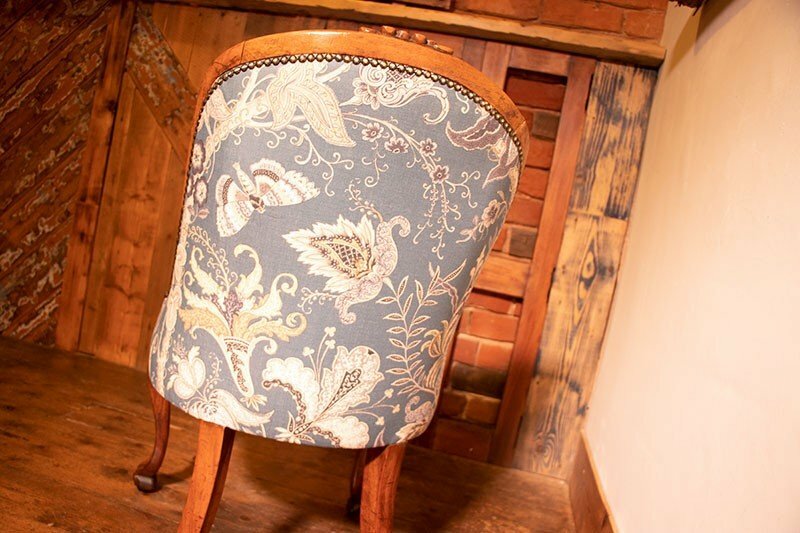 The back of the chair has been finished in a striking design called Fable by Linwood. 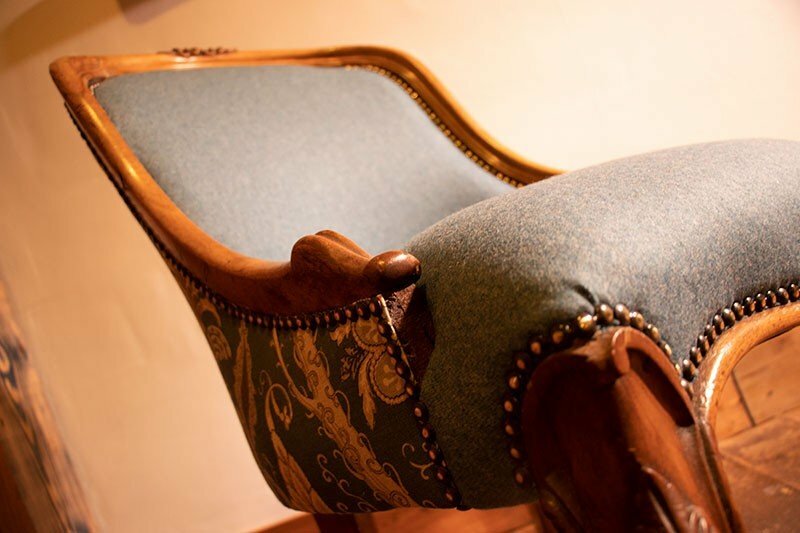 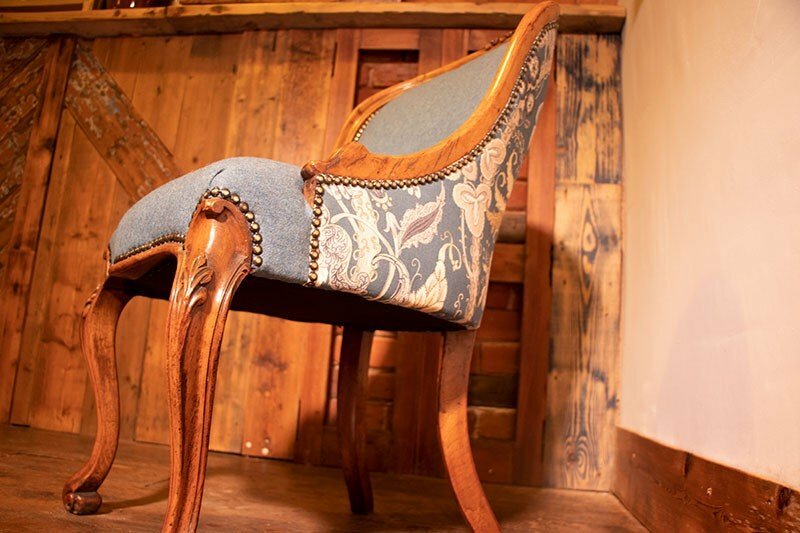 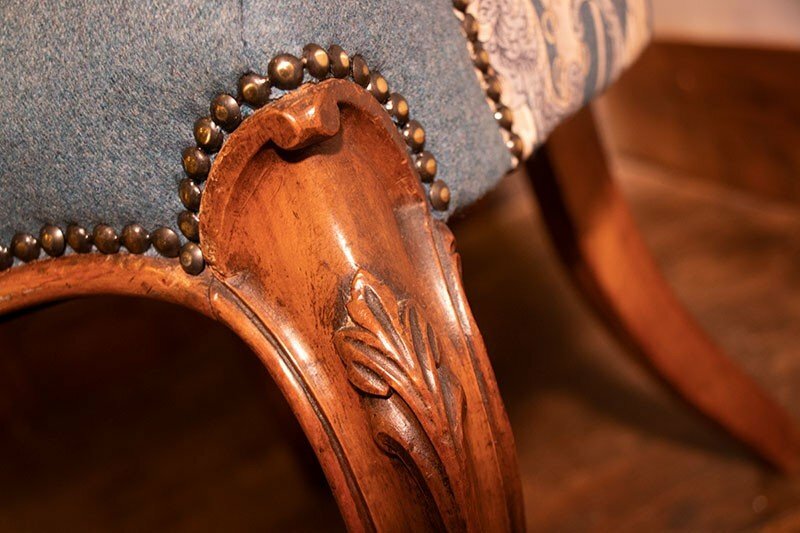 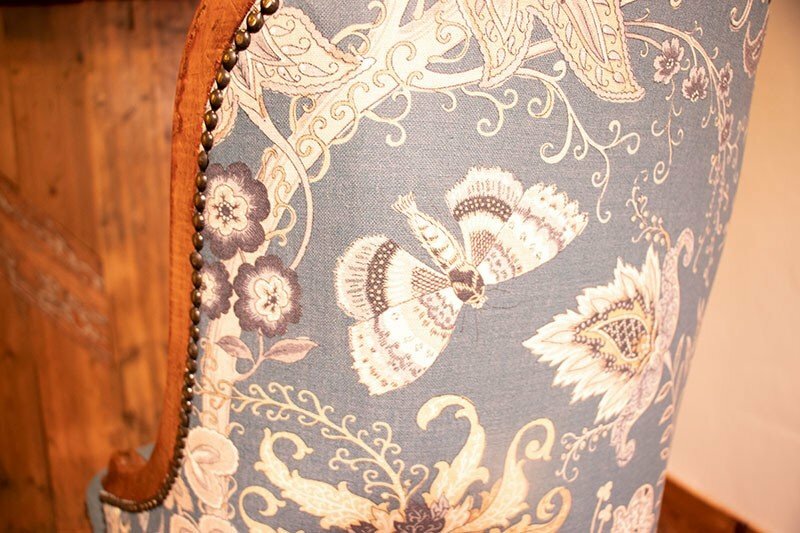 The chair has then been finished with decorative upholstery studs. 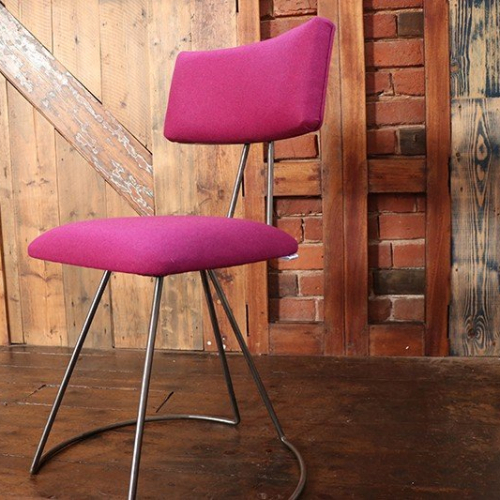 This beautiful chair is a stylish edition for any room. 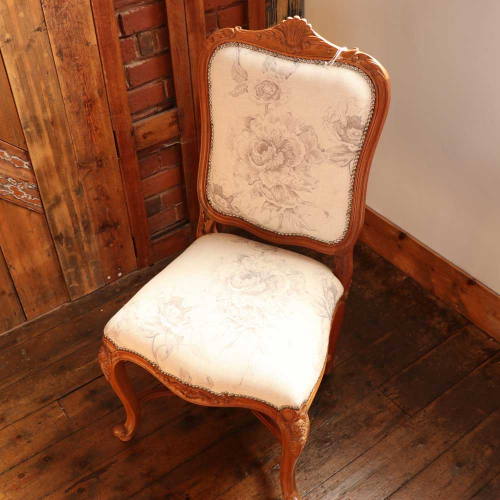 NOW, once it’s gone it’s gone.